So got a good deal on a 16 DL1000, over the 17 KTM 1090 I was looking at. $11,300 OTD $8999 for the bike and added K60's, Touratech skid and crash bars, Suzuki center stand for the total. Forgot to get a steering stabilizer added, oh well, I can do that later. 1st "mods" will be for safety, LED replacements for all incandescent lights. 3M reflective striping on several locations. Still looking at LED headlamp upgrades, but I am heavily against HID/LED bulb swaps in parabolic lenses. At some point, LED spot and Fog lights, heated grips(still reading up), maybe a heated seat or heater in OEM seat and MAYBE a dampener upgrade. Me: 5'10 med weight, athletic-gym 3-6 days a week, rider for 25 years, never owned my own bike, always have friends with bigger wallets than mine so I rode theirs. 20 plus years on car racing in the USA and Europe. Pro license in Europe. 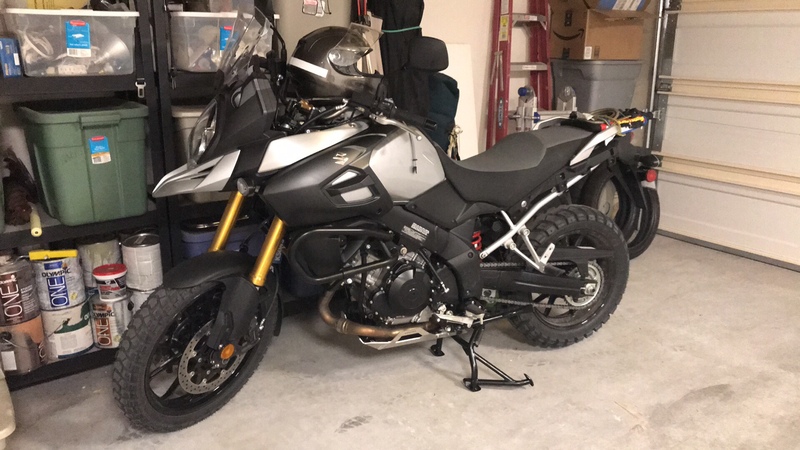 Most of my riding is sport bikes and cruisers, my first ADV. HPDE instructor in Europe and some in the USA. No MSF course, didn't have these when I licensed. I have several motorsports driving schools. 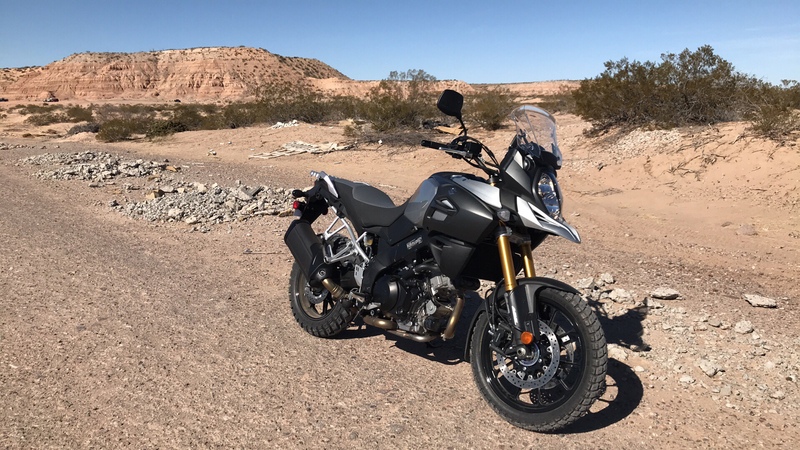 My riding style forecast: 3-5 days a week, year round, all weather, 60/40 as I live in the desert southwest, lots of medium mountains, sand, rock, trails, etc. Local ADV group has already guided me to this purchase and adopted me. Trust me I was looking USA wide for a great deal on a 15/16 1290 Super Adventure. I respond best to hard facts and numbers. Opinions are taken with a grain of salt. Retired military, so sarcasm and directness is how I operate. On that note, let the beatings begin. James. Hola, hope you enjoy your purchase. Thank you. I plan on riding the dry river bed of the Rio Grande all the way home, when I pick it up. Mind the Border Patrol in the Rio Grande! You discredit LED headlight conversions, yet allow that you are converting all other incandescents to LED for safety. In my experience, and there are exceptions, many of the LED replacement bulbs for turn signals, tail lights, break lights ( done that for you, greywolf!!! ), simply are not as bright as the original incandescent. They have, in my past attempts, been less reliable. That may be changing. You may find newer units to prove me wrong. LED headlight conversions can work very well. I have had MUCH better luck with those than converting to HID. HID bulbs seem to destroy the light pattern, causing glare to oncoming motorists. They were not reliable at all for me. LED conversions, because the emitters are in just about the same location as the filaments on incandescent bulbs, can provide a very similar light pattern. More light and a brighter white light, but not a cause of excessive glare. You may have to try a few different brands, or look at their specs, to find one that works just right. Big B and madstrom like this. I discredit led conversions in parabolic lenses, in 14 years of working with LED’s in lenses housings for halogen and incandescent, this has proven true. Non-specific LED parabolic lenses, in 99% of my real world usage, have been failures. Speaking with manufacturers on this topic and listening to their ideas on how to speed the narrow light beam that is emitted from an LED, there have been several variations on spreading it out. Emitting light and projecting light are two totally different things. This is why led headlamps are only a few years in production, as where LED lighting on non projection usage has been around for 20 years. Note: The beatings will continue until morale improves. Motor7 and jinstall like this. Quick off road stint to satisfy getting it in the sand. Lots of skills to hone after the rest of the protection is on. No more off roading till then. Now with the gear on it and 500 more miles on it from this week.